In view of the recent developments involving pharmaceutical companies, the industry unanimously condemns any illegal act and expresses its trust in Greek justice and its confidence that the allegations will be resolved as soon as possible. However, we should point out that public debate is fraught with inaccuracies, exaggerations and rumours, all of which – intentionally or not – give false impressions, having a negatively impact on patients’ perceptions and public opinion and fuelling high uncertainty and controversy. There seems to be an attempt to annihilate the contribution that a whole industry makes not only to the health of citizens but also to the national economy. Against this background, we provide some key facts and figures about the industry, which is very tightly regulated by the State – a fact that is perhaps unknown to the general public. Worldwide, since the 1980s, HIV mortality rates have fallen by 80%; more than 95% of cases of chronic Hepatitis C can be cured through a 2-3 month course of medicines; deaths from cancer have fallen by 20%, and the total percentage of people diagnosed with cancer who return to work after treatment has now reached 75%; and biological treatments have significantly improved the lives of patients with autoimmune disorders. At the same time, literally millions of our fellow citizens are coping with chronic conditions with the help of their medication. Furthermore, medicines help to save public pharmaceutical costs. It is worth noting that in the period 2000-2009 alone they contributed to shortening hospitalisation times so much that hospitalisation costs fell, thereby saving more than 60% on public expenditure. The health policies implemented so far with a view to rationalizing expenditure have mostly targeted the pharmaceutical sector, which accounts for only 15% of total health expenditure, and have left the remaining 85% untouched. Public pharmaceutical spending in the years of the economic crisis has fallen by 62%. Meanwhile, the needs of patients (including uninsured people, refugees and immigrants) have risen sharply. Outpatient pharmaceutical expenditure in Greece has been set at €1,945 billion over the last three years and hospital pharmaceutical expenditure at €530 million. These amounts are not sufficient to meet the needs of the population. This is something that the political leadership itself acknowledges. However, the drastic reduction in pharmaceutical expenditure over the past few years has not affected patients’ access to treatments, because pharmaceutical companies, through compulsory rebates and claw-backs, have absorbed the expenditure cuts, i.e. any overrun is paid by the pharmaceutical industry in the form of a compulsory claw-back. We are the main pillar of funding for the healthcare system, covering one third of pharmaceutical expenditure (in 2017 alone, we paid back more than €1 billion to the state), four times the European average and the highest percentage among all sectors of the Greek economy. In addition, the measures enacted in 2017 for new medicinal products, such as the 25% measure, which has a retroactive effect too, and the unified rebate, raise viability concerns for companies in the industry and significantly hamper patient access to new as well as existing treatments. We support the healthcare system by covering the uninsured (850,000 fellow citizens for 2017, representing an annual cost of €165 million), substituting for the social policy of the state, because we are fully aware of our sensitive social role. It has been a long-standing demand of the industry that healthcare expenditure be rationalized, with respect for the country’s budgetary constraints, but also, and most importantly, with respect for patients. For years now, we have submitted substantiated proposals, including: control on prescribing and waste; mandatory implementation of therapeutic protocols and patient registers; increased use of generics; co-responsibility with the state and predictability regarding the claw-back mechanism; realistic funding of hospitals and an increase in the overall pharmaceutical budget; application of tender procedures for generic medicines in hospitals; a simpler pricing policy, etc. Unfortunately, to date, the state has failed to increase generic penetration (which would save considerable resources in the system, crowding in innovation), to control prescribing, i.e. demand (in the years of the crisis, prescriptions increased from €4.5 million to €6.5 million per month), to warn the public against excessive consumption of medicines (as other countries do through information campaigns) and to control hospital pharmacy supplies. According to studies conducted in Greece[iii], the rise in pharmaceutical expenditure is mainly due to increased consumption of medicines, which is accompanied by higher patient co-payment, which stands at about 25%. In spite of the persecution that has suffered all these years, the industry, with a sense of responsibility, stands with the Greek society, covering its increasing needs, substituting for the state’s social policy and covering a significant part of public pharmaceutical expenditure. The rise in pharmaceutical expenditure is not due to pharmaceutical prices. Its causes are mainly related to uncontrolled consumption of medicines rather than to prices. A specific legislative framework is thus necessary, and it is the responsibility of the State to introduce it. This is something that pharmaceutical companies have been repeatedly and insistently called for, and continue to do so. The pricing of medicines is an exclusive responsibility of the State; it is subject to strict legislation, and prices are derived from the average of the three lowest prices in the EU-27 (excluding Greece), while the basket of countries is selected by the State, namely by the National Organisation for Medicines (EOF). The price data used as inputs come from a EU-wide dataset, available from official websites of EU countries. The Pricing Committee considers EOF’s recommendations and any objections from pharmaceutical companies. The industry, through its association, SFEE, has a minority presence in the Pricing Committee, which has now been abolished, and its representatives support lawful requests from member companies, having no power whatsoever to dictate or influence political decisions. The applicable legislation does not permit price increases, except for error correction. Upward price adjustments occur infrequently and always for reasons of public health (mainly in view of a risk of unique medicines being withdrawn and taking into account the severity of the disease and the availability of alternative treatments). Over time, healthcare policy has been confined to price reductions and, despite out repeated warnings, there are still medicines that that are priced below the lowest producer price in the EU, infringing the applicable legislation and distorting competition. There are now many medicines, both generic and non-originator products, that are so low-cost that continuing their marketing is almost impossible. The pricing model has exhausted its cost-saving capacity and simply perpetuates distortions, resulting in the withdrawal of 240 well-established medicines from the market over the past two years. But most importantly, the distorted downward pricing model puts the adequacy of supply at risk and increases re-exportation of imported medicines, resulting in frequent shortages at pharmacies. Moreover, at a time when the industry strives to bring the best treatments and all innovative medicines to Greek patients through a modern reimbursement system, the recent law on the establishment of a Health Technology Assessment (HTA) committee causes significant problems and delays in patient access to new, but also existing treatments. The increase in pharmaceutical expenditure is not due to the prices of medicines, which are the exclusive responsibility of the State and among the lowest in Europe. The problem is the lack of control on prescribing. Since 2002, we have voluntarily adopted self-regulation through our Code of Conduct, which is updated regularly, the Code of Ethics of our pan-European association, EFPIA, and through numerous procedures and controls we have put in place. In fact, disclosure and transparency have been a constant demand on the part of the industry, with a view to ensuring that patients are fully informed. All scientific events, conferences, etc. are subject to prior approval by EOF. SFEE, on its part, imposes strict regulations, e.g. by prohibiting of holding such events at luxury venues (such as resorts, five star hotels outside the main city of a prefecture). The interaction of healthcare professionals with pharmaceutical companies is a legitimate form of cooperation, as is the case in all countries in the world. It is envisaged in legislation and provides assurance to patients that the medicines available on the market are safe and that healthcare professionals are abreast of scientific developments. 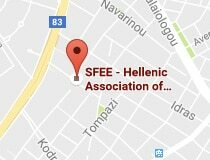 We are proud to collaborate with and invest in Greek scientists of high professional and moral standing and acclaimed at home and abroad. The remuneration of healthcare professionals for the provision of scientific and advisory services to pharmaceutical companies is entirely lawful under a strict ethical framework (as is the case in all countries in the world), and the expenditure for their education is subject to a specific ceiling provided for in: (a) an EOF Circular; (b) a Ministerial Decision; and (c) the Code of Conduct. 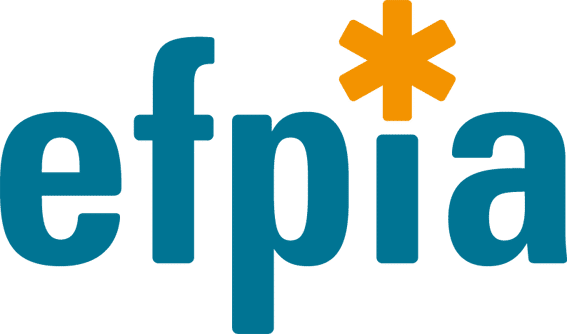 In addition, itthey are also published on the diavgeia platform since its inception in 2010, on the EOF website and on the websites of the relevant pharmaceutical companies. We strongly advocated the adoption of Law 4316/2014 on the Disclosure of Transfers of Value from Pharmaceutical Companies to Healthcare Professionals and Healthcare Organisations. On two occasions (June and December 2016), we participated in hearings of the Data Protection Authority to ensure full compliance with the law. The Authority’s final decision narrowed the scope of the Law to promotional conferences only. The pharmaceutical industry has long been supporting and promoting the framework of lawfulness, transparency and full disclosure, aiming at ensuring fair and unhindered access of Greek patients to medicines and support for Greek scientists and medical science. The interactions between the industry and health professionals are strictly regulated, and all events, conferences, etc. are approved by EOF, while SFEE also imposes strict regulations. We invest in Research and Development (R&D) and strengthen the competitiveness of the country. We are a strong national productive force, with more than 150 companies and 28 manufacturing plants, supporting more than 26,000 direct and 86,000 indirect jobs, 64% of which are held by higher education graduates, compared with 7% in total economy. We are the third largest exporter of our country, exporting to 141 countries, with an impact of some €6 billion, contributing 3.5% to Greece’s Gross Domestic Product (GDP). The role of clinical research as a key driver of growth is well-documented. Clinical trials represent one of the most productive investments, generating high added value for the real economy. Today, despite the many bureaucratic obstacles and disincentives, clinical trials in our country bring €80 million annually in foreign investment, through the conduct 2,265 clinical trials (2017). Our goal is to help our country to attract its fair share of investment in clinical research and to triple this amount in three years from now, to €250 million annually. The pharmaceutical industry invests in Research and Development, strengthens the country’s competitiveness and the national economy and employs high-quality scientific staff. In a country facing a protracted economic crisis and after three fiscal adjustment programmes, the Greek Public Healthcare System is called upon to respond to the specific needs of the Greek population – an ageing population with deteriorating demographics and an increase in chronically ill and unemployed people. The healthcare policies pursued so far have been piecemeal and fragmented and have relied on mechanistic and accounting-focused approaches that have outlived their usefulness. Now that the country is about to exit the adjustment programmes, there is a need for pragmatic interventions, such as a sensible overhaul of the pharmaceutical budget with a cap on claw-back, control on prescribing, e.g. by the mandatory implementation of therapeutic protocols and patient registers, health technology assessment, a new pricing policy on an annual basis, prevention and information programmes to reduce unnecessary consumption of medicines, and an increase in the use of generics. We are allies with the State for curing the ailing public healthcare system and safeguarding – in an inclusive manner – the patient’s self-evident and inalienable right to have access to life-saving and life-improving treatments and to enjoy the benefits of scientific development and progress, in accordance with the advice of a well-trained doctor. However, the notion that pharmaceuticals must be regarded as a social good is relevant not only for those who possess them, but also for those who procure them on behalf of the citizens of this country. [ii] Lichtenberg F. et al., “Pharmaceutical Innovation, Longevity, and Medical Expenditure in Greece”, 1995-2010, CESIFO Centre for Economic Studies & IFO Institute Working Paper No. 5166, January 2015, EFPIA. [iii] See studies by National School of Public Health (2008); Athens University Medical School (2010); ΙΟΒΕ Evolution of Pharmaceutical Prices in 1998-2008; ΙΟΒΕ– Health Economics Observatory, The Greek pharmaceutical market – Facts and figures (2017).